Cisco Systems, Inc. (CSCO) has released its financial earnings for its fourth fiscal quarter and posted earnings per share of $0.63. Its total revenue for the quarter was $12.6 billion. Both numbers are in line with analyst’s estimates. The consensus called for $12.57 billion in revenue, and $0.60 per share of earnings. Some analysts remain bullish on the stock while others who were on the sidelines before the announcement, remain cautious towards the company’s future performance. But earlier this week on Tuesday there had been a rumor circulating that Cisco was planning to lay off around 14,000 people, or about 20% of its total workforce. This had many people worried. But the rumor was quickly put the rest as Cisco subsequently announced in an official press release that it will actually be laying off 5,500 employees this year. This number represents about 7% of its 74,000 workforce, which is still a lot, but much less than the rumored 20%. 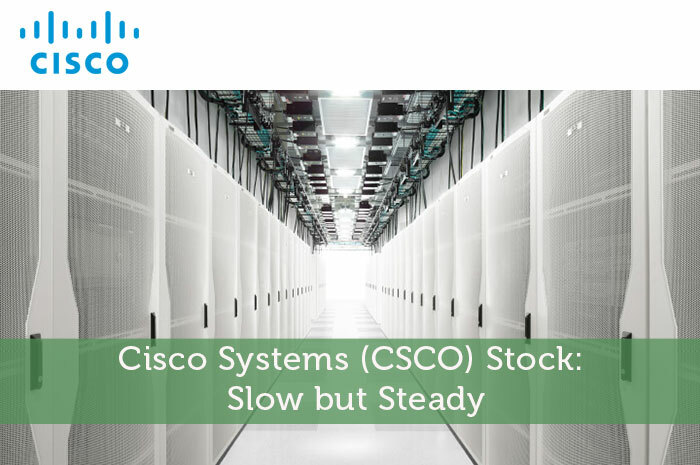 This job cutting measure by Cisco (CSCO) is partly due to the fickle and fast evolving technology landscape. Cisco has over the years been undergoing big transitions. The company is trying to shed itself of old technology and focus more on newer products, such as cloud services, that could generate more money for the company. But it has not been an easy transition so far for the technology giant that is still worth $150 billion in market capitalization. Back in 2013 Cisco laid off 4,000 employees. Then in 2014 it laid off another 6,000 employees. Last year in 2015 Cisco went through a different type of transition and replaced its CEO. And now this year it will lay off 5,500 more employees. But Cisco isn’t alone here. Workers at some of the world’s best known technology companies have also faced recent layoffs. This trend is happening all across the tech sector. Intel announced plans for 12,000 job cuts this year. Dell announced 10,000 job cuts. Seagate announced cuts of 6,000 employees. For laid off employees this can be a frustrating things. But for those who are skilled at coding, engineering, or design, they should be able to find new jobs elsewhere in the tech sector. Cisco faces the same challenges as many other innovation companies; it has to find new ways to improve and reinvent itself. It’s interesting to note that at one point in time Apple Inc (AAPL) was on the brink of bankruptcy. But it wasn’t until the release of its iPod product that saved the company and brought it back profitability. Then ultimately Apple became the most valuable corporation in the world. If Cisco wants to thrive in the new age of technology it will need to discover some new products or services as well. This author does not hold any CSCO stocks or plans to own any within 3 days of writing this article.